A pair of heart shaped diamond stud earrings with Princess Cut diamonds. Discover the eternal beauty of the Illusion set Diamond heart-shaped earrings. 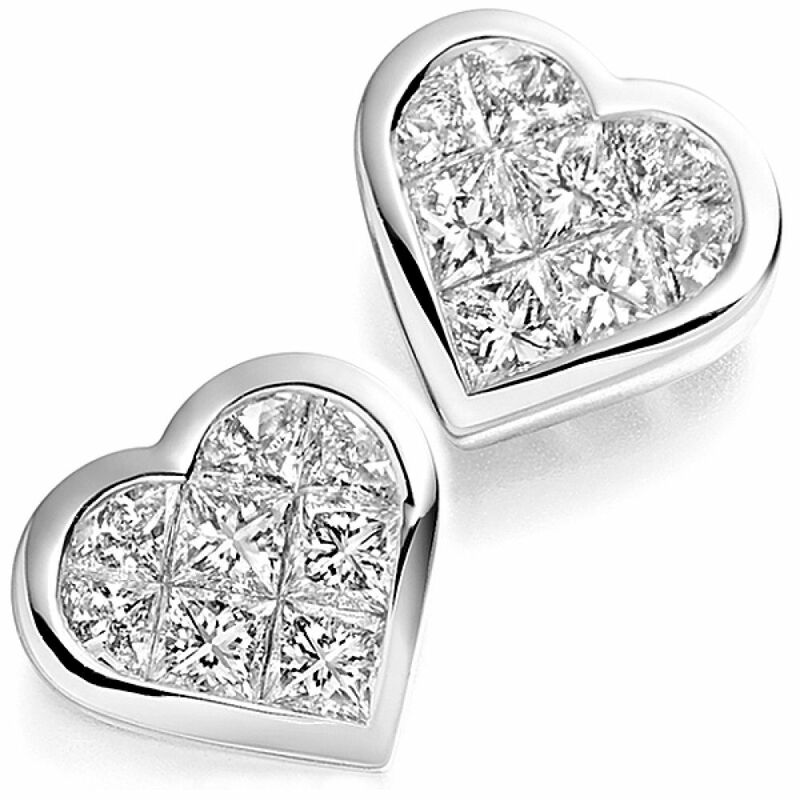 Each design features a defined heart-shaped outer polished edge, retaining a cluster of invisibly set square Diamonds. Perfectly cut and faceted, the setting creates a seamless surface of Diamonds. Heart-shaped Diamond earrings are perhaps the most romantic gift of Diamond Jewellery. Crafted under the care of the Raphael Collection, please allow 4 weeks for the Diamonds to be precision set and the earrings crafted to perfection. Enjoy delightful packaging—earrings arrive, beautifully presented in Serendipity packaging, with a luxurious presentation box. We deliver to many countries worldwide with free insured shipping. 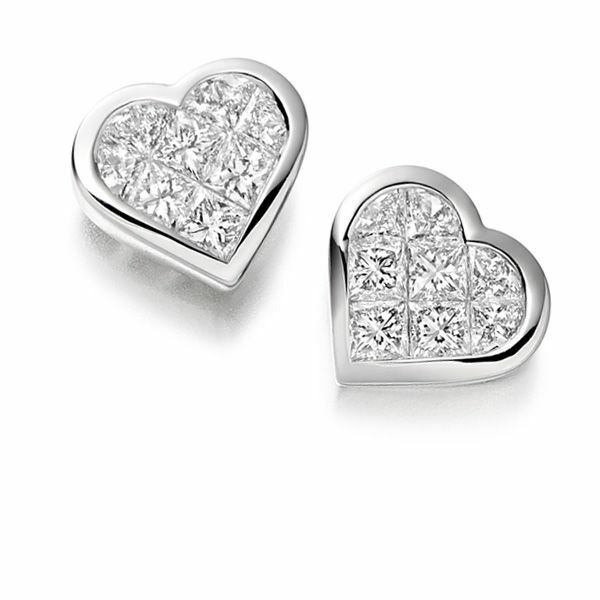 Please contact us for further guidance on any of our Diamond earrings.